We manufacture construction elements for metal structures: tinsmithing elements, steel structures, aluminum joinery and curtain walls. 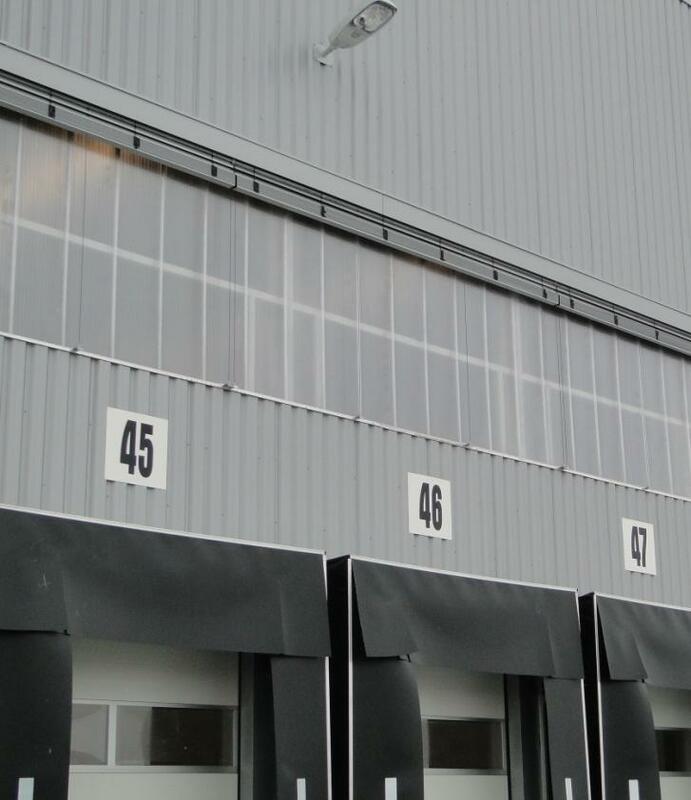 Systembau's metallic structures represent the fastest and most efficient solution for building storage warehouses, production halls, showrooms. For a successful project, we provide design services, structural analysis and documentation with general plans and execution drawings. 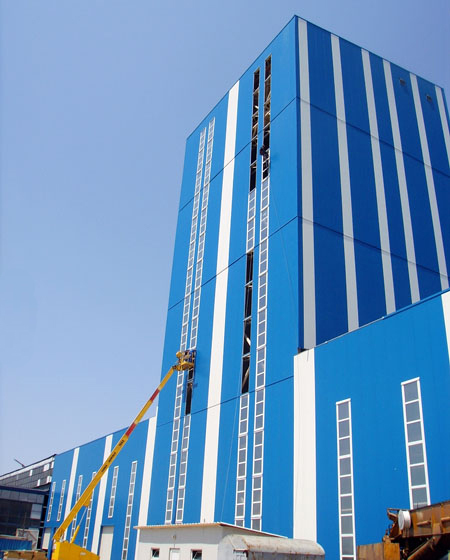 For further minimum costs, we recommend you use our building maintenance services. 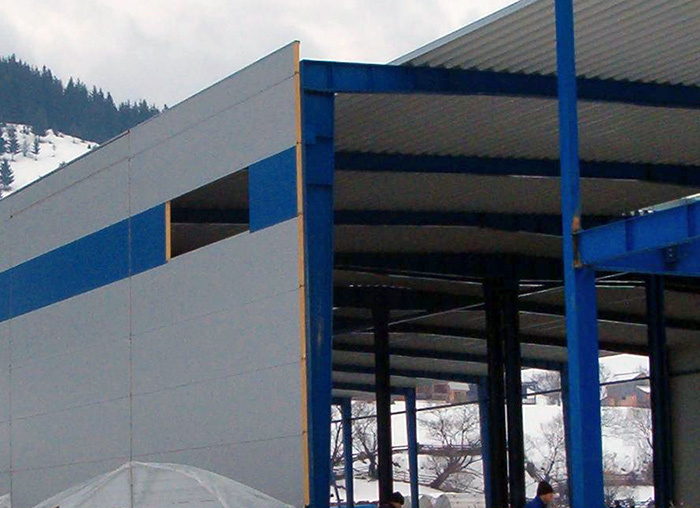 SystemBau is a mixted romanian-german company, founded in Ploiesti in 2000 and is well known on the romanian market as a result of numerous projects and experience gathered in the construction of metal structured warehouses. 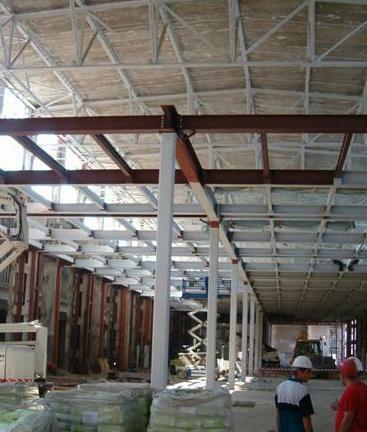 SystemBau was commissioned to execute the enclosure works at the extension of H.Essers in Oradea. 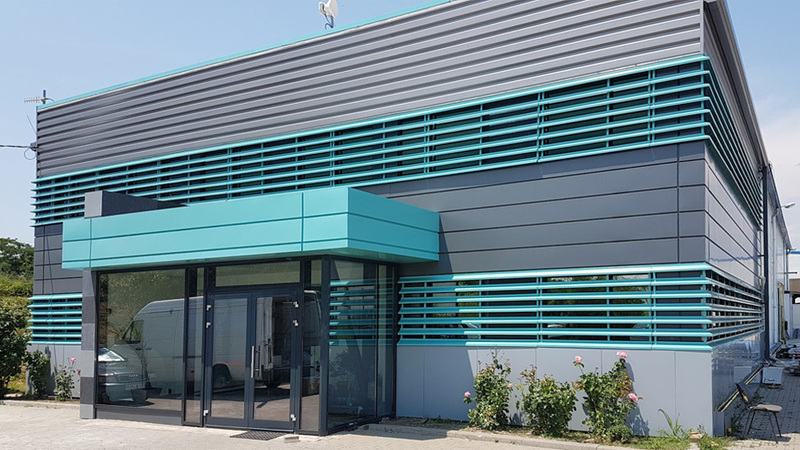 SystemBau was commissioned to execute the closure works at the expansion of FM Logistic warehouse in Dudesti (Timisoara).